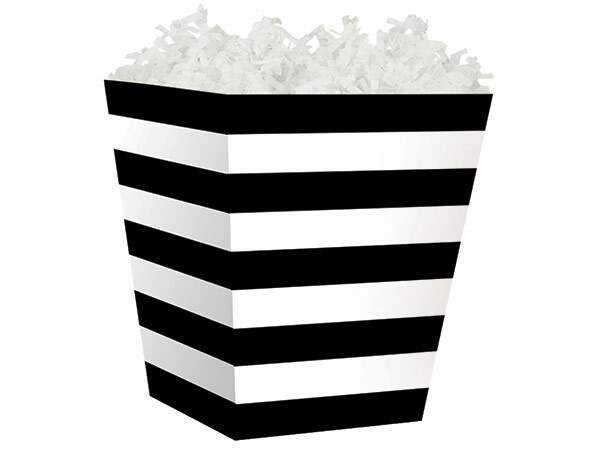 Black Stripes Sweet Treat Boxes 4 x 4 x 4-1/2"
Black & White Stripes Sweet Treat gift boxes are perfect for small favors or gift away treat boxes! We recommend using our C418BC cello bags with these boxes for a cute gift basket. Sweet Treat gift boxes are available in a variety of designs for Christmas, Valentine's Day, birthday and other holidays. These small treat boxes make easy grab n' go gifts, party favors and candy gifts.